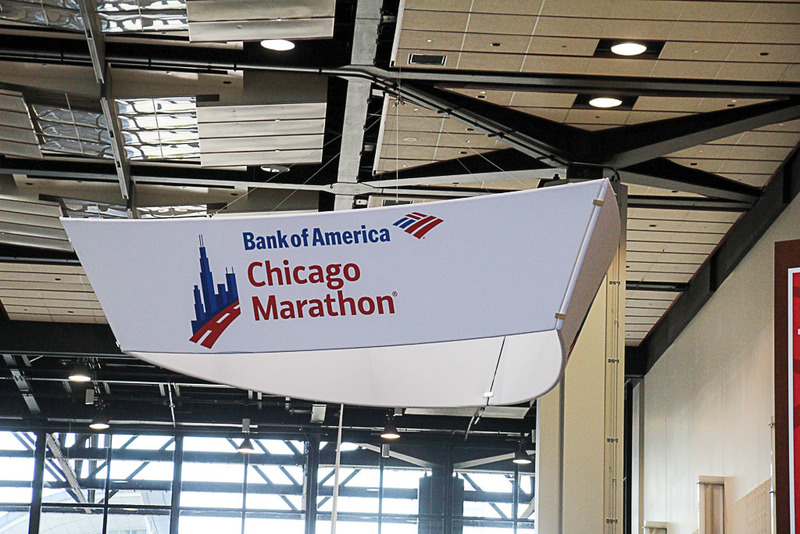 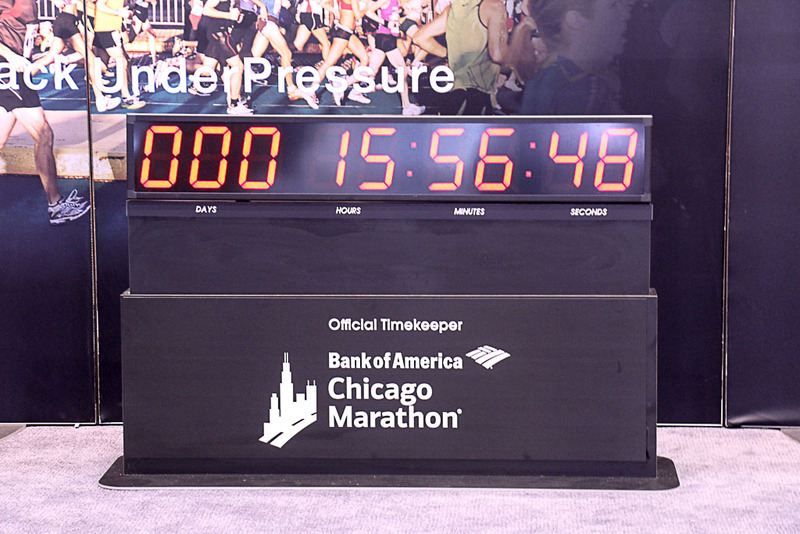 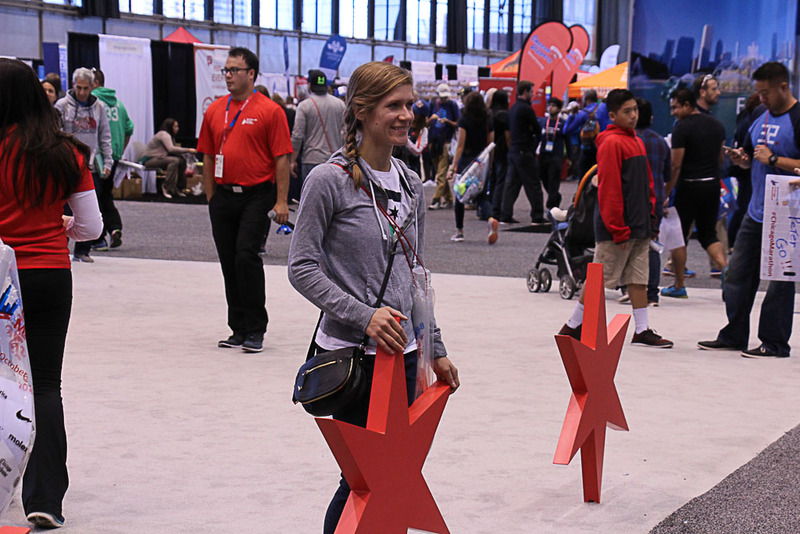 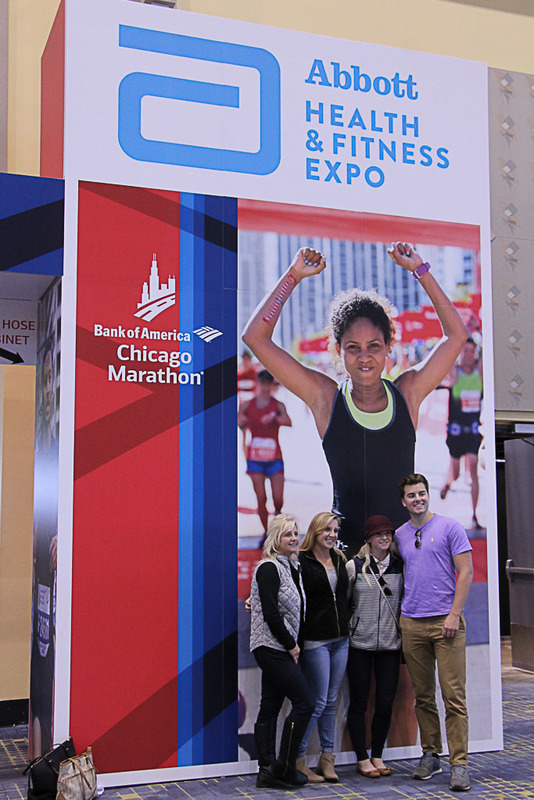 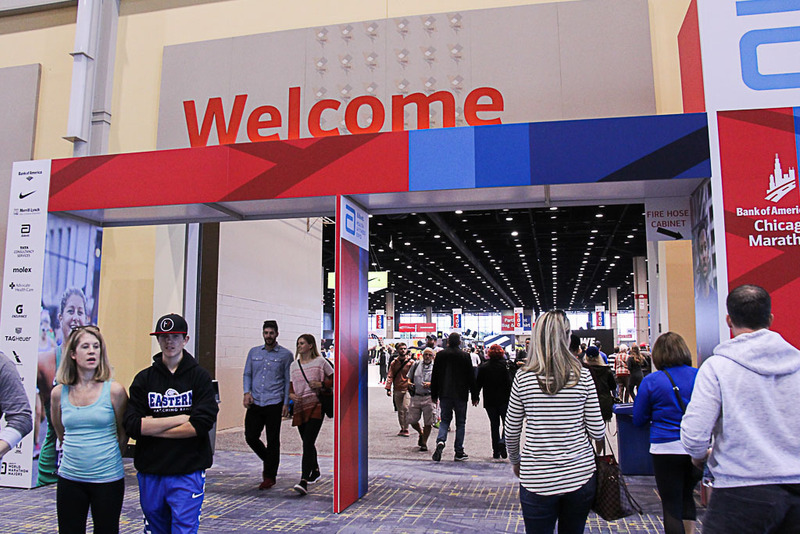 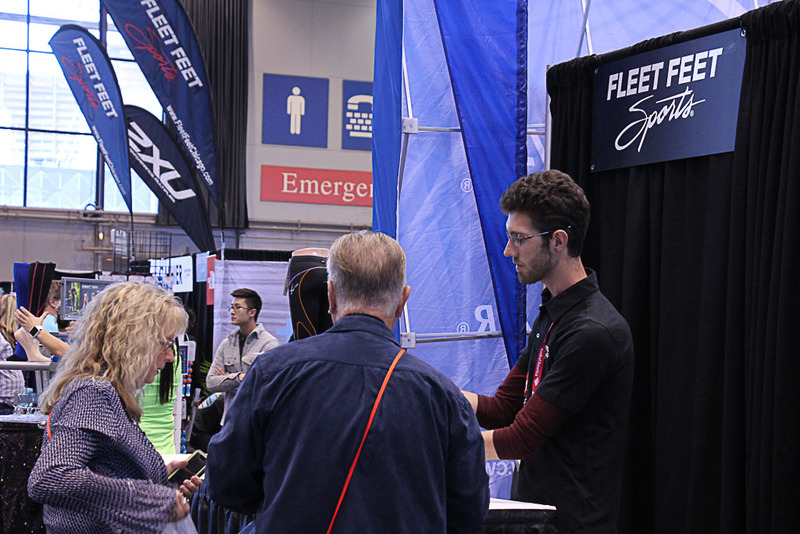 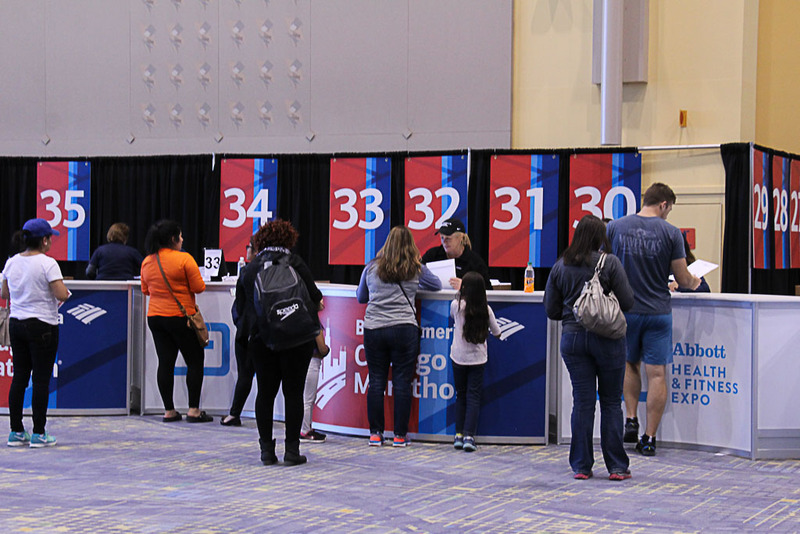 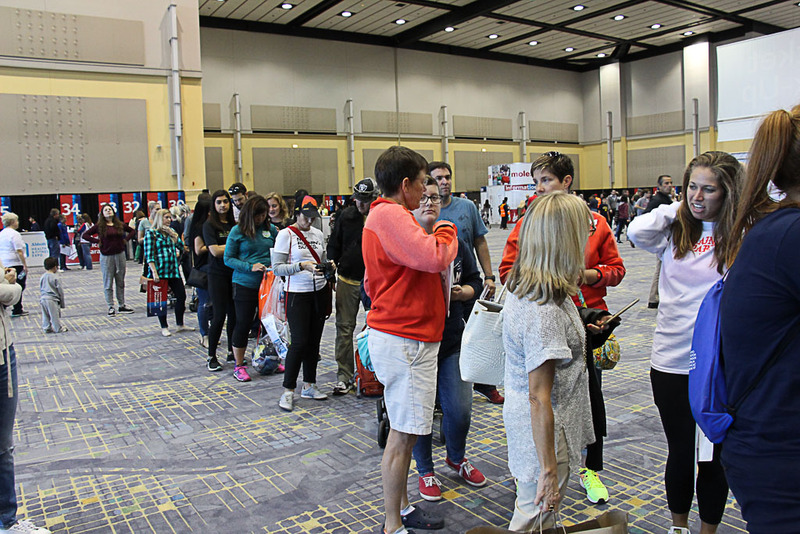 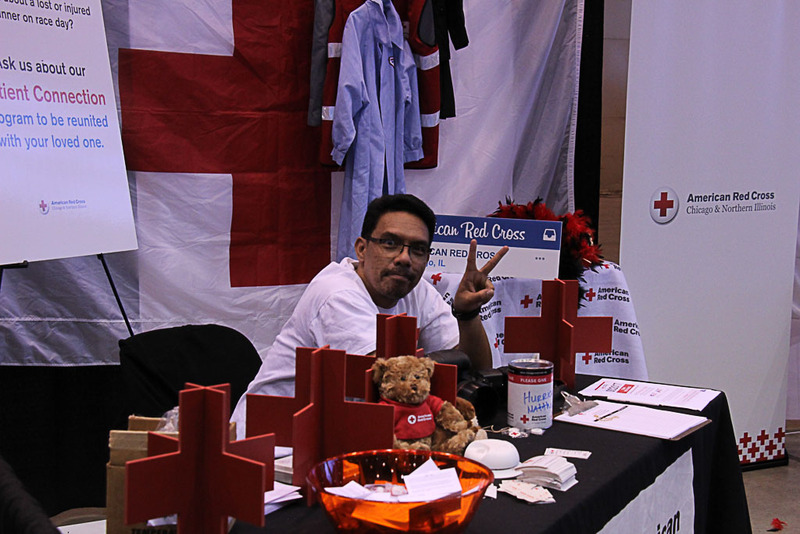 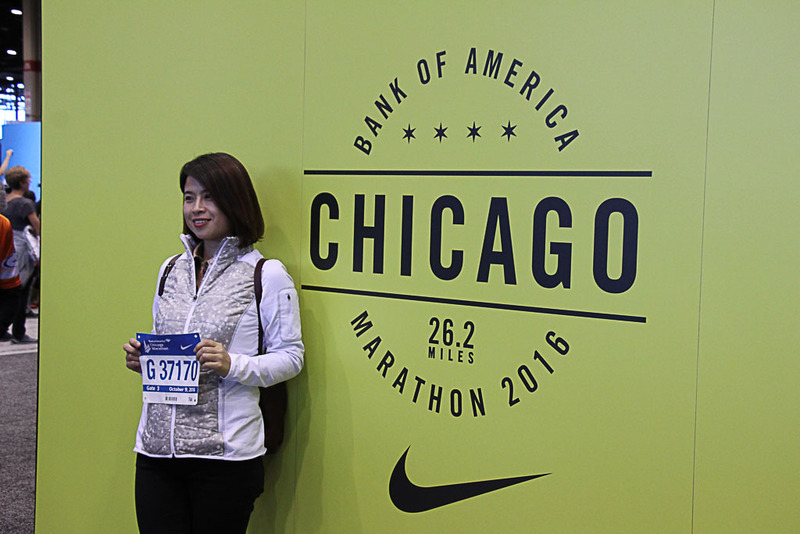 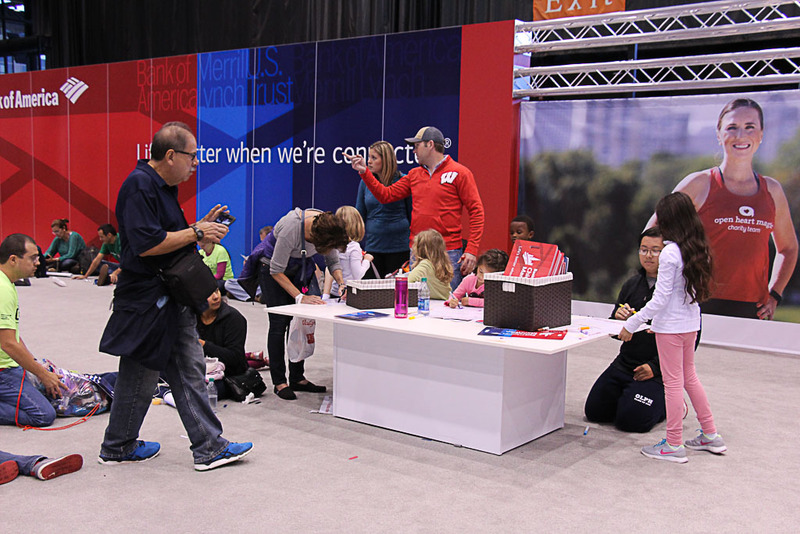 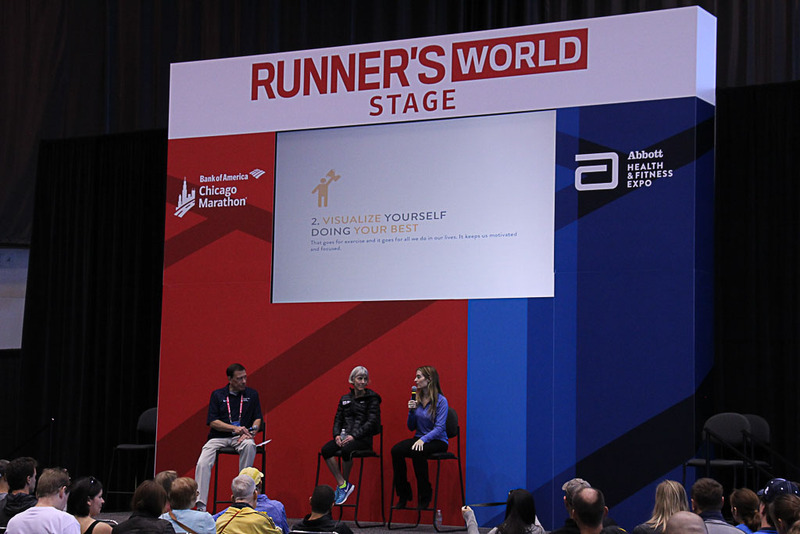 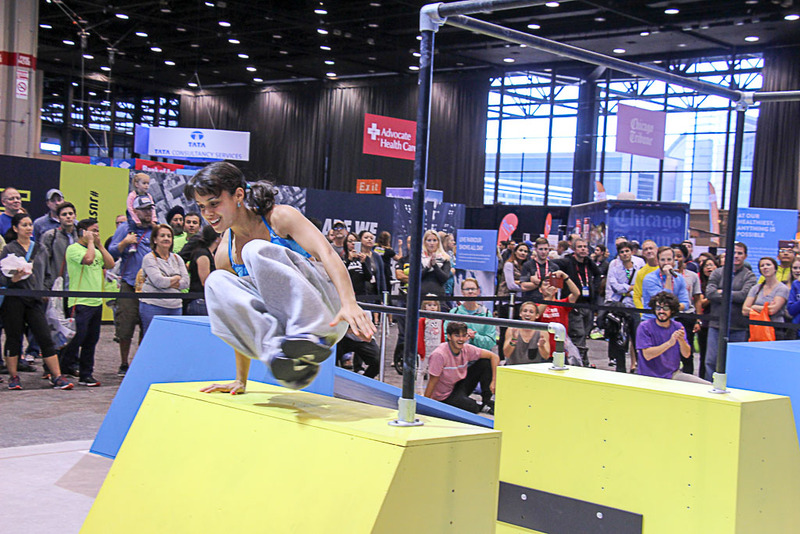 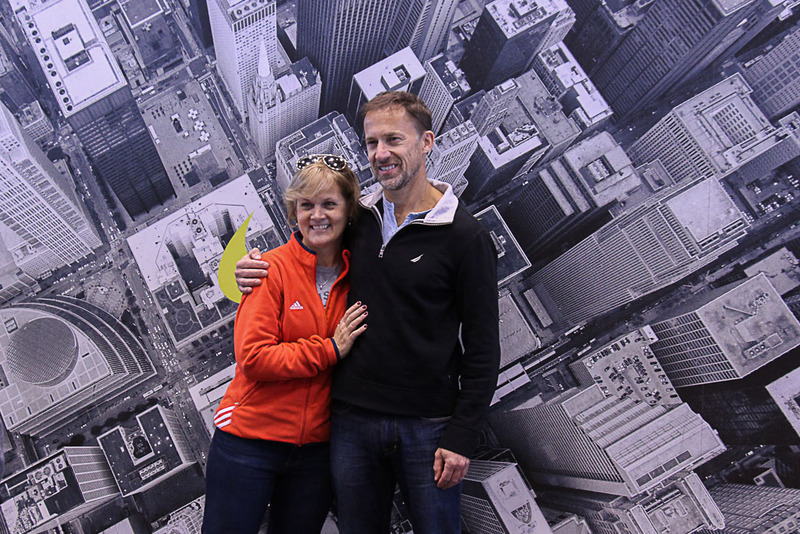 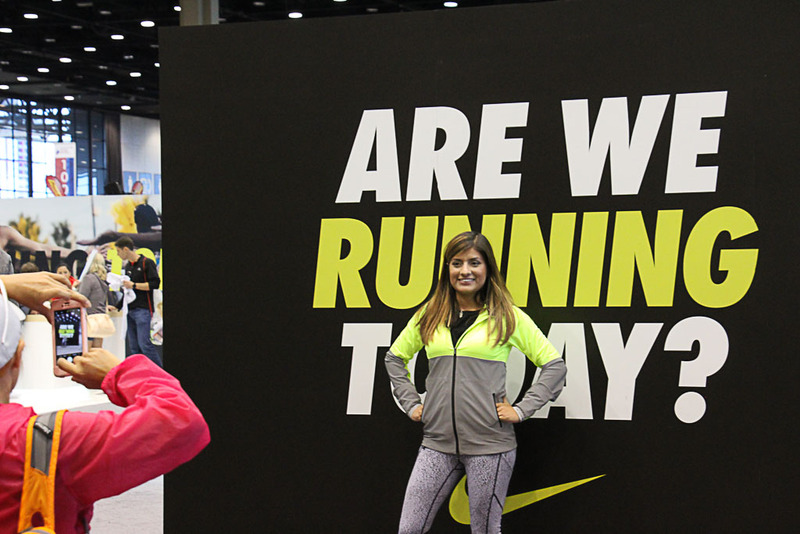 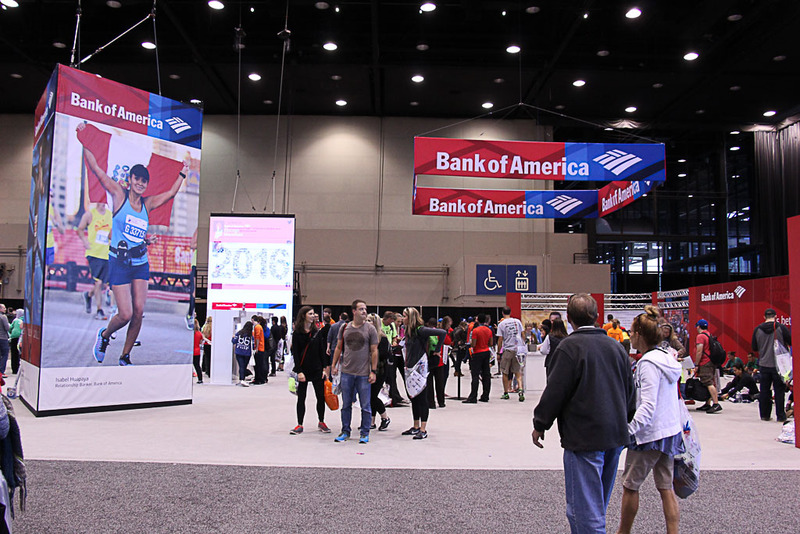 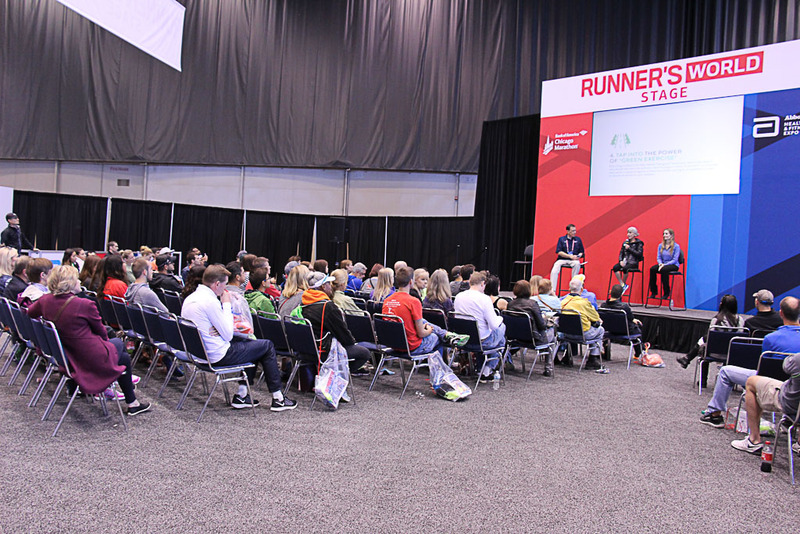 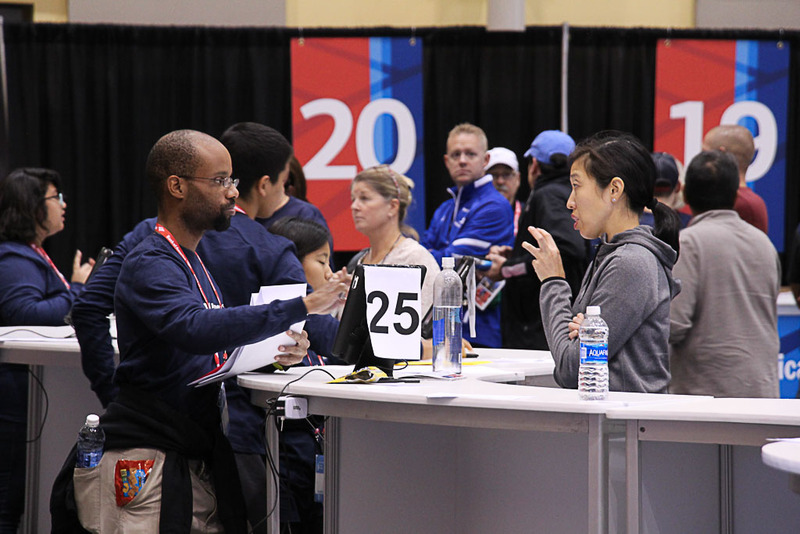 The Abbott Health & Fitness Expo for the Bank of America Chicago Marathon is not only the biggest in the area, but the biggest marathon expo in the country — people from all over the world travel to McCormick Place in Chicago to prepare for the 26.2 mile race that occurs on Sunday of race weekend. 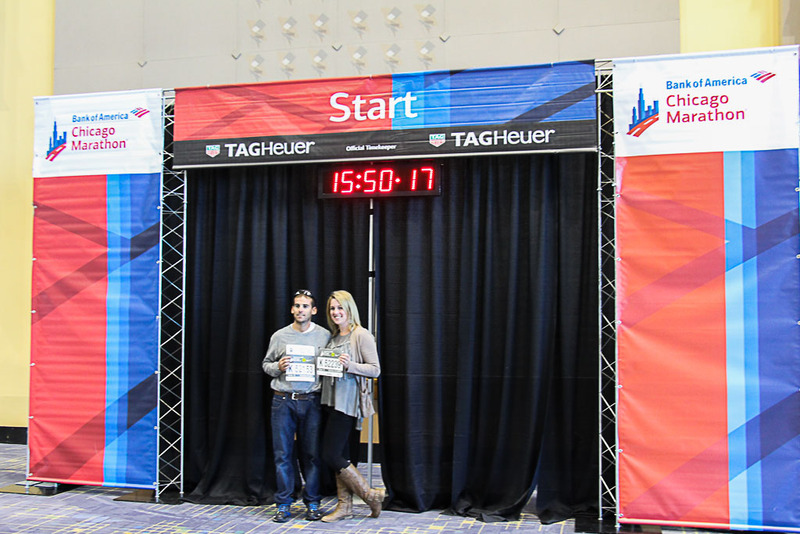 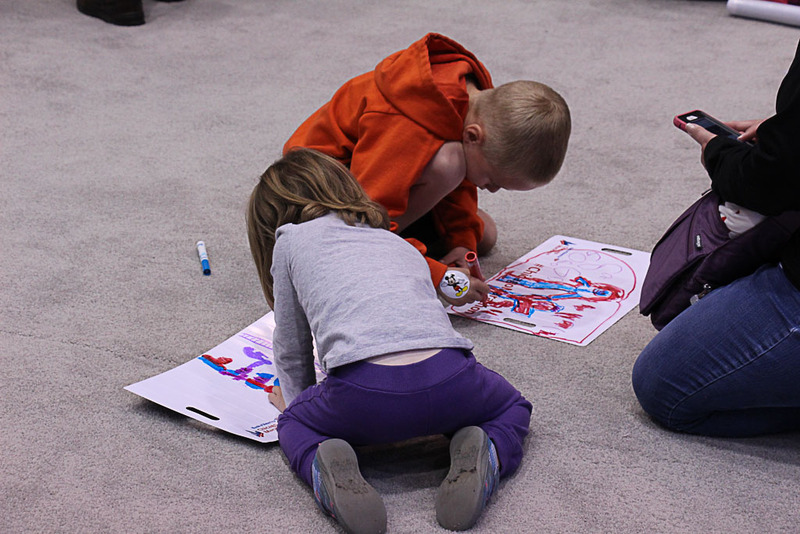 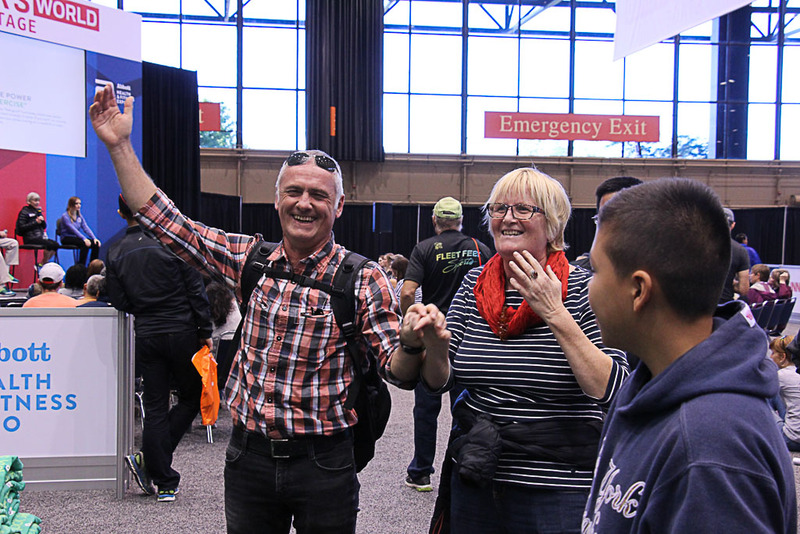 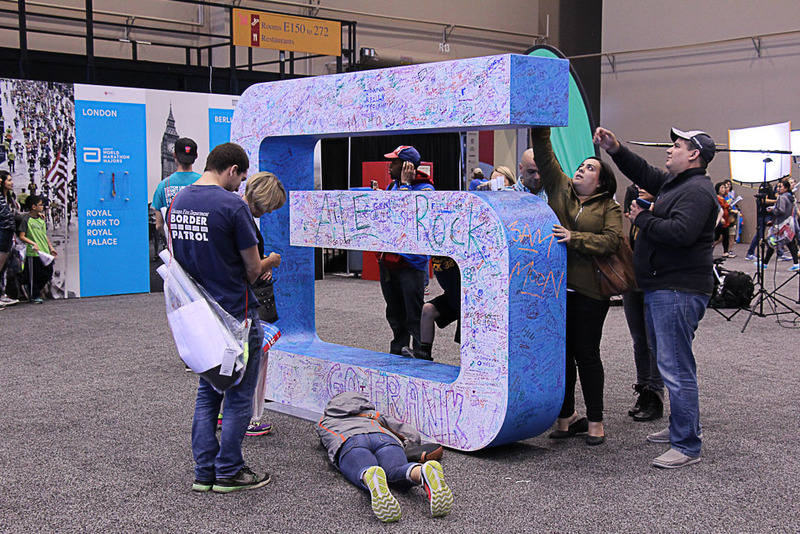 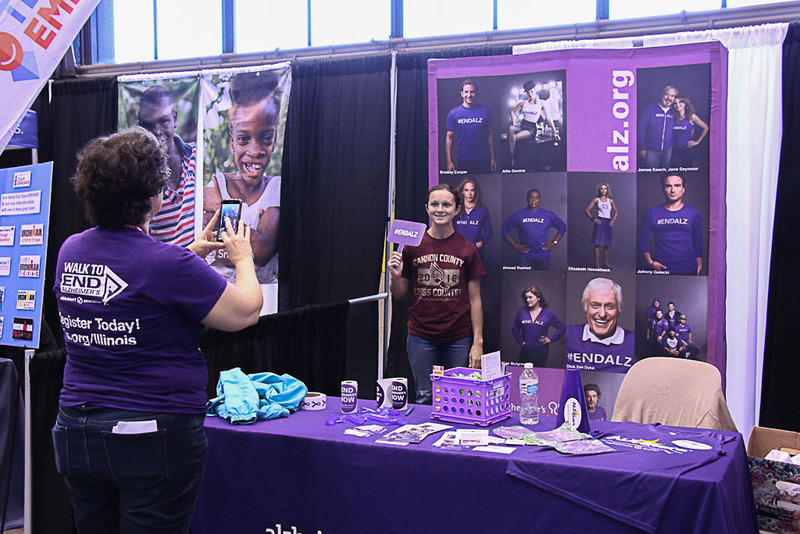 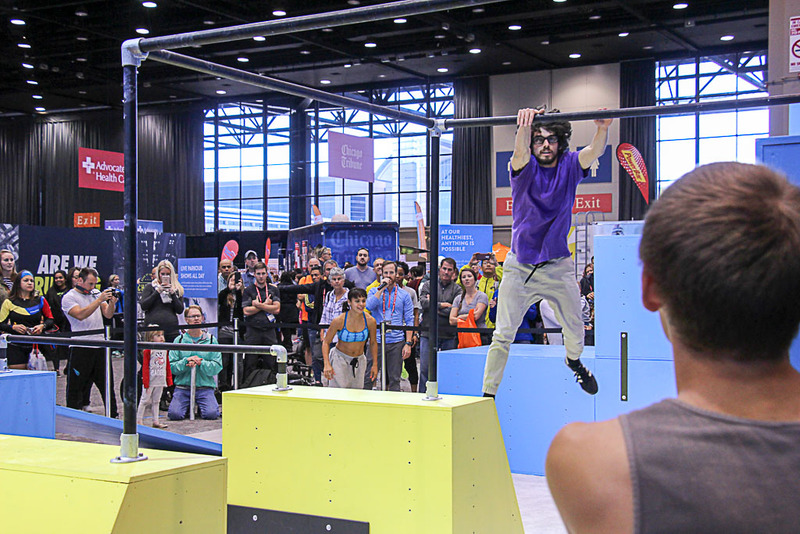 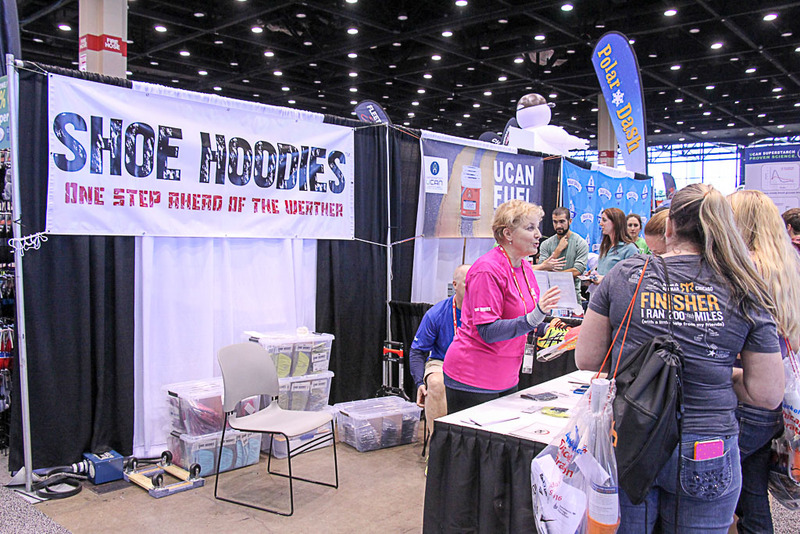 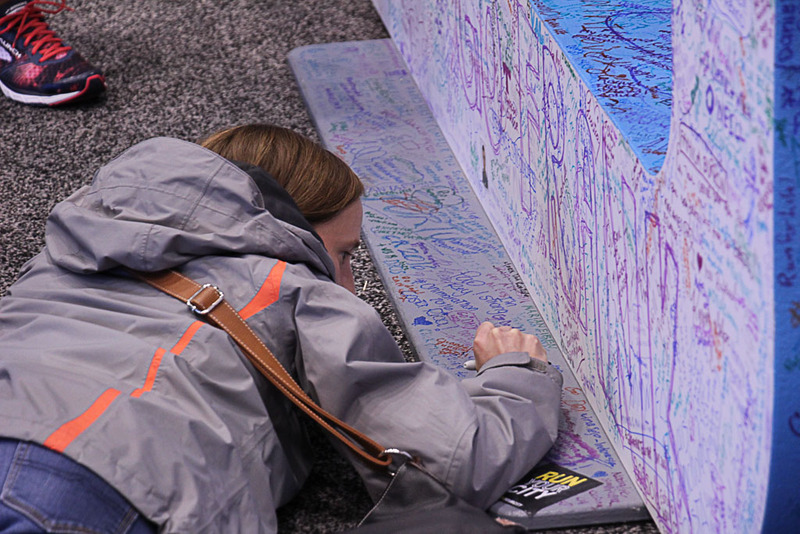 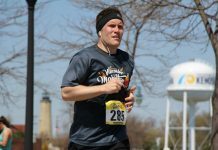 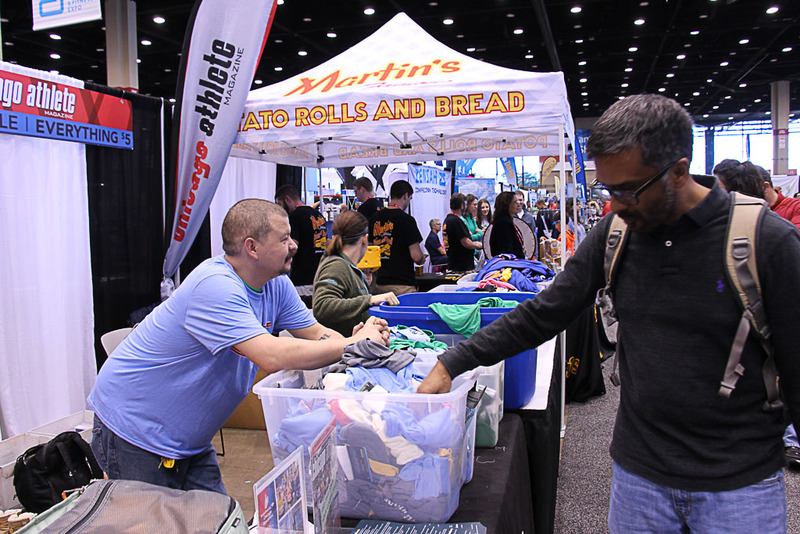 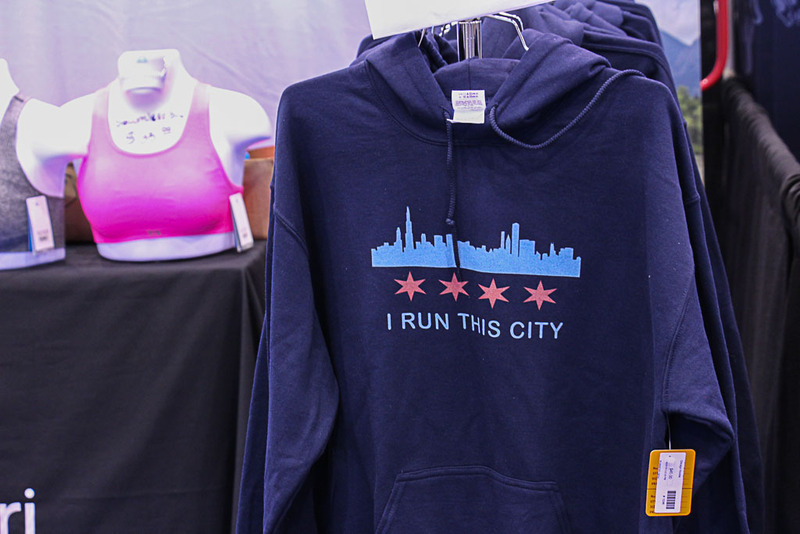 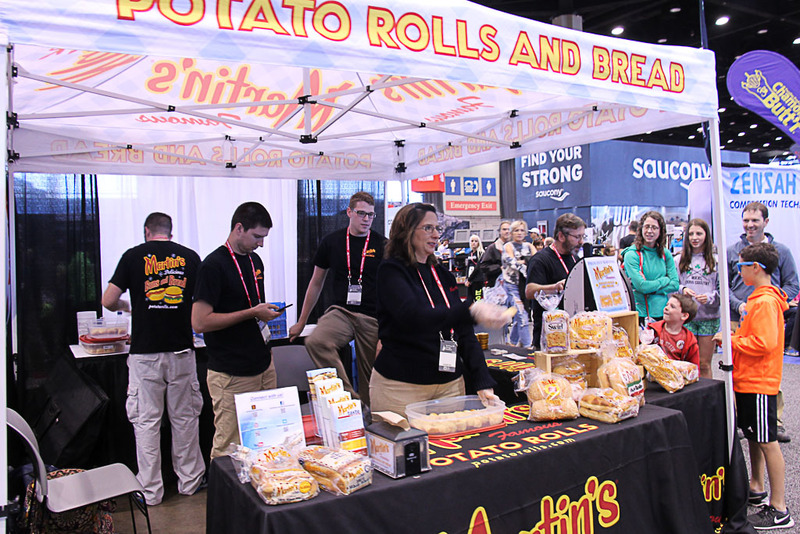 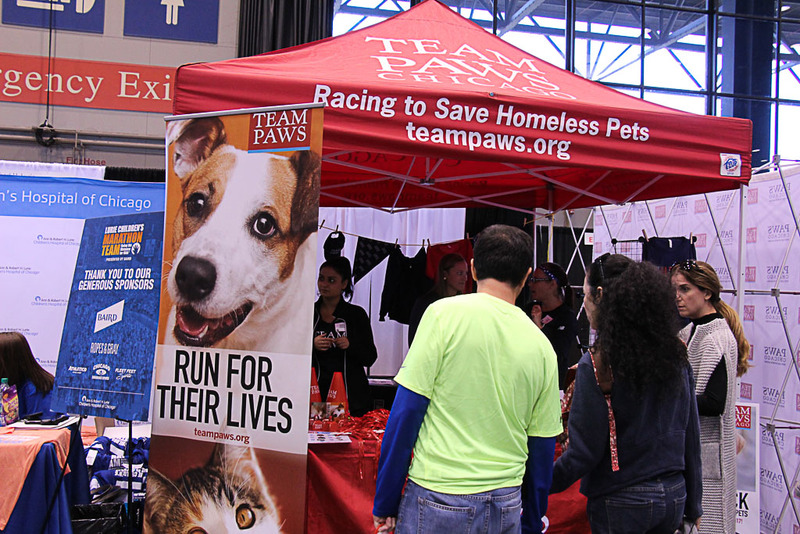 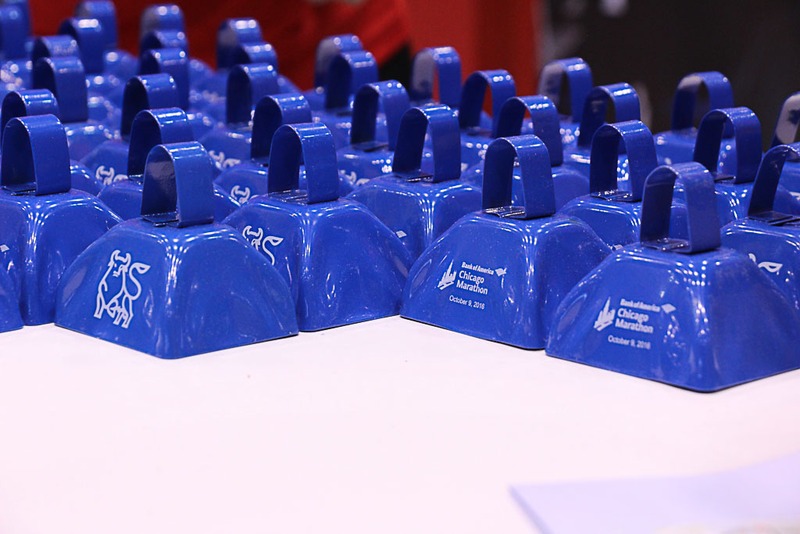 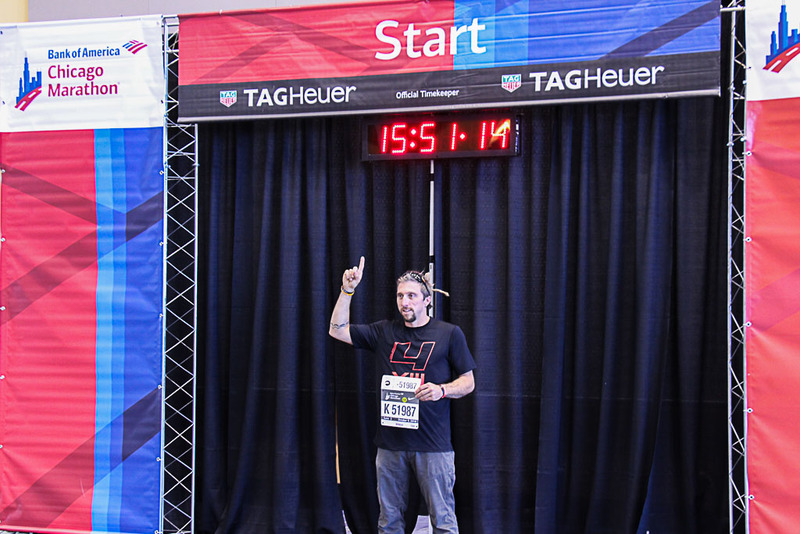 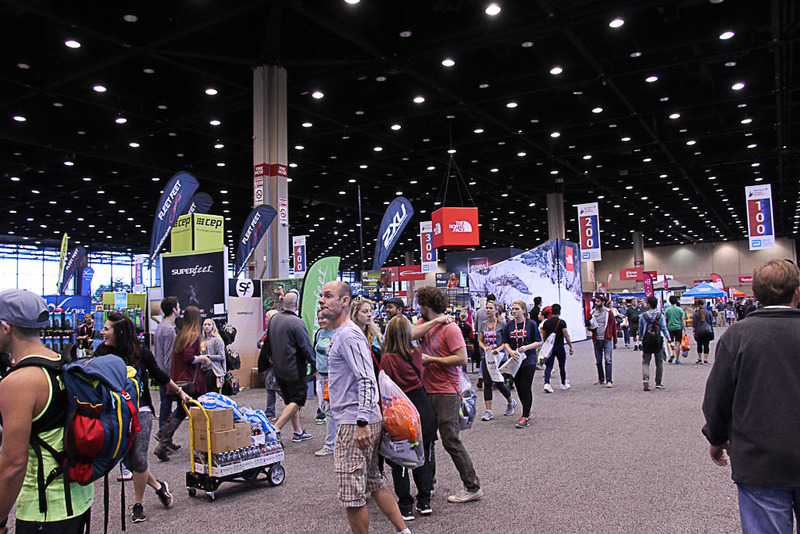 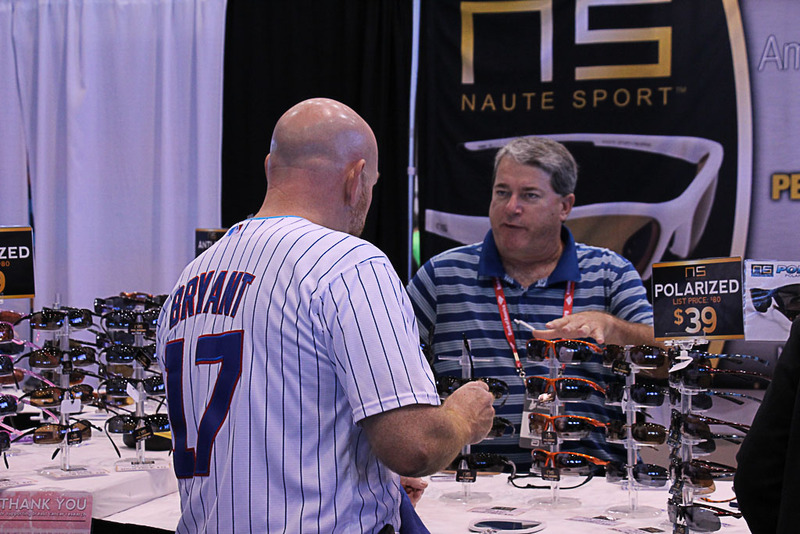 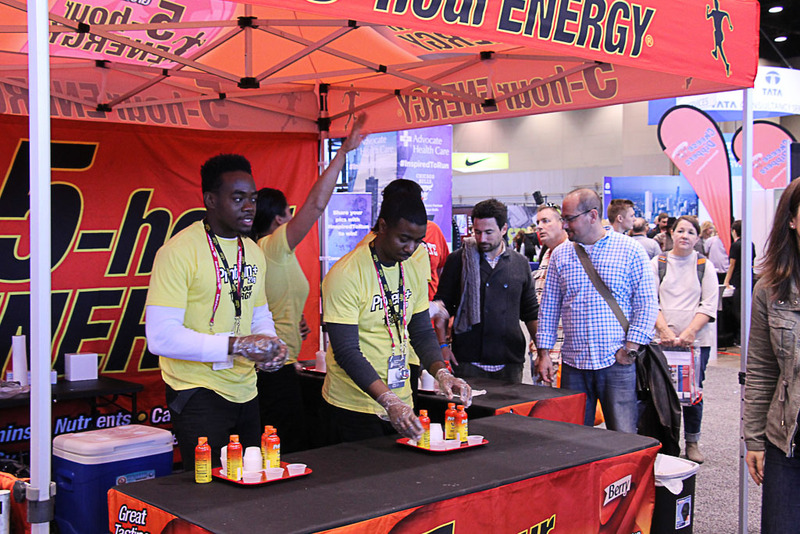 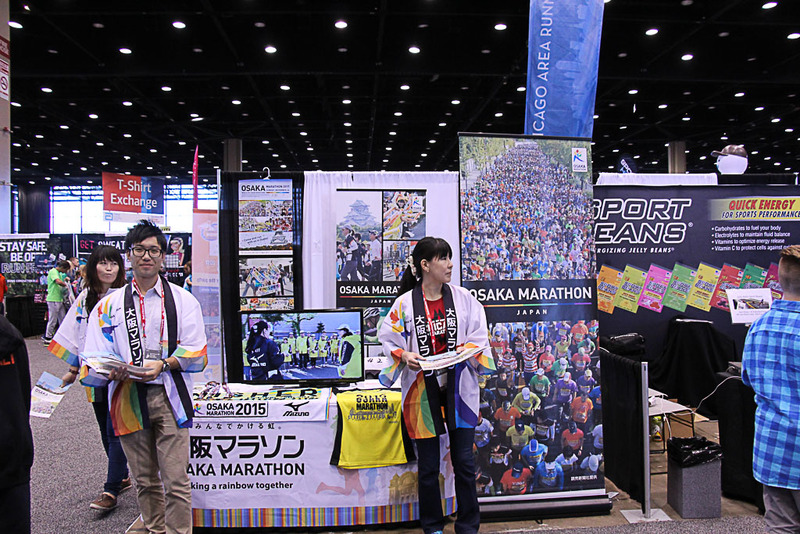 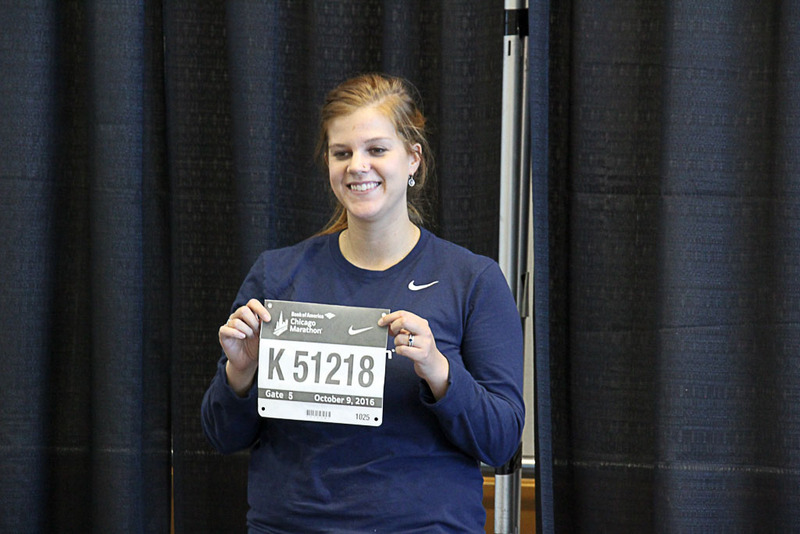 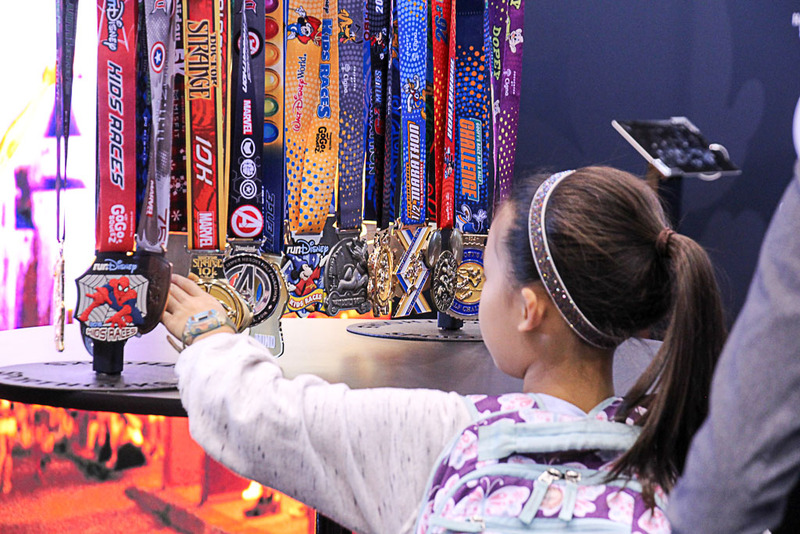 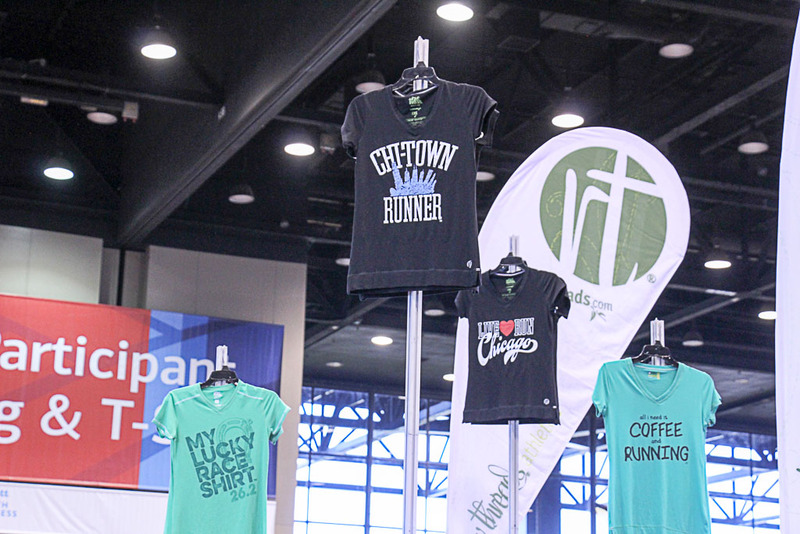 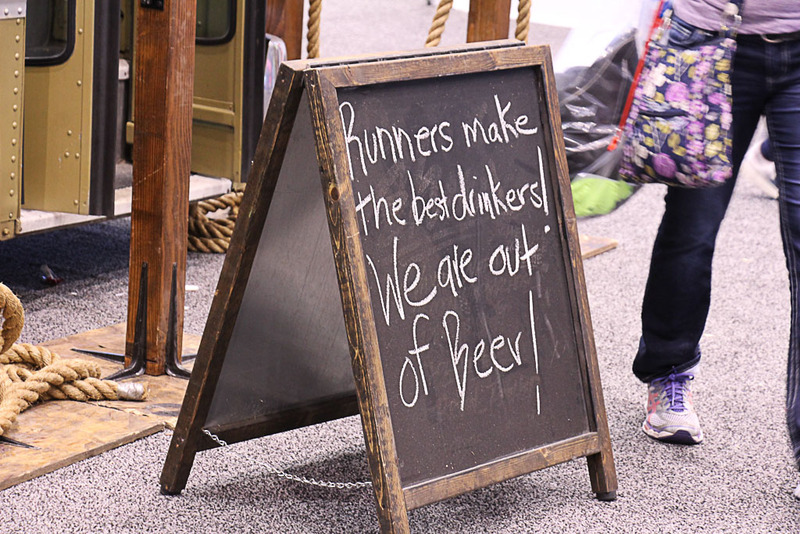 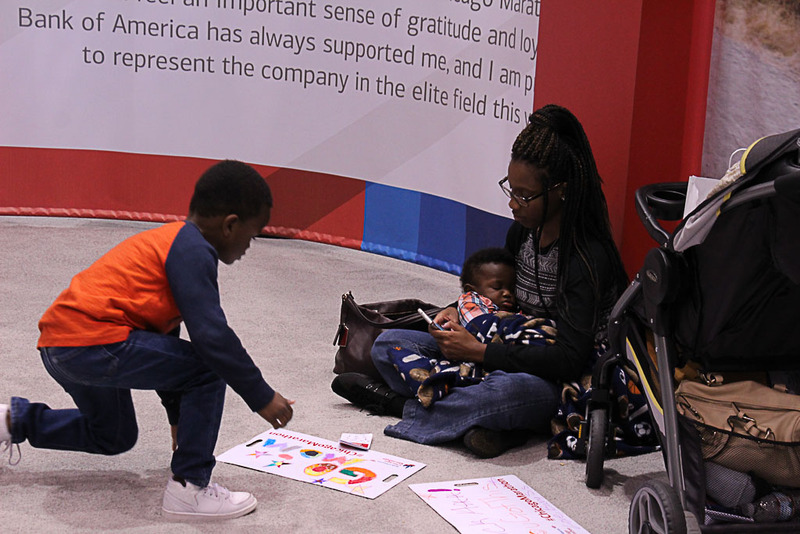 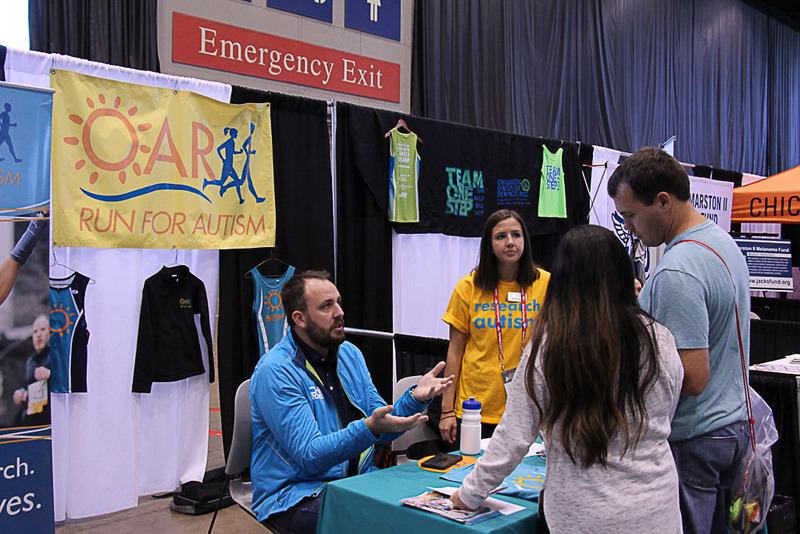 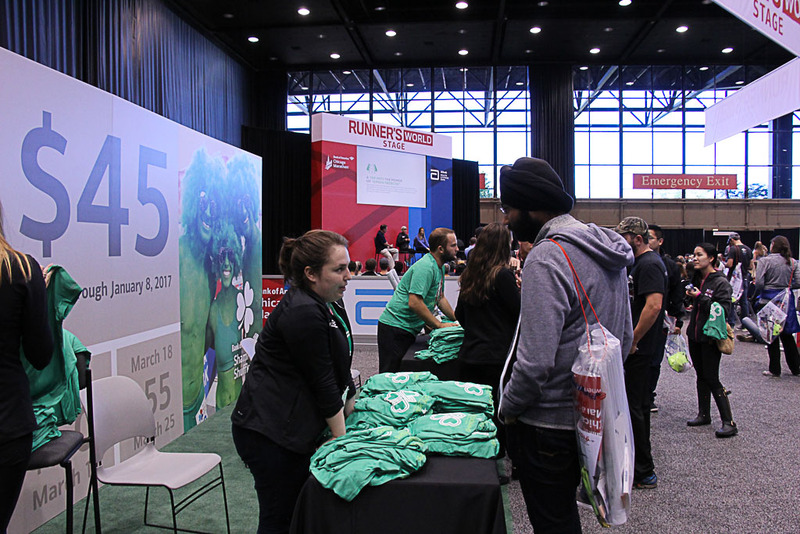 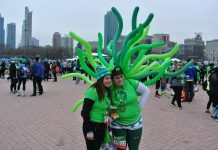 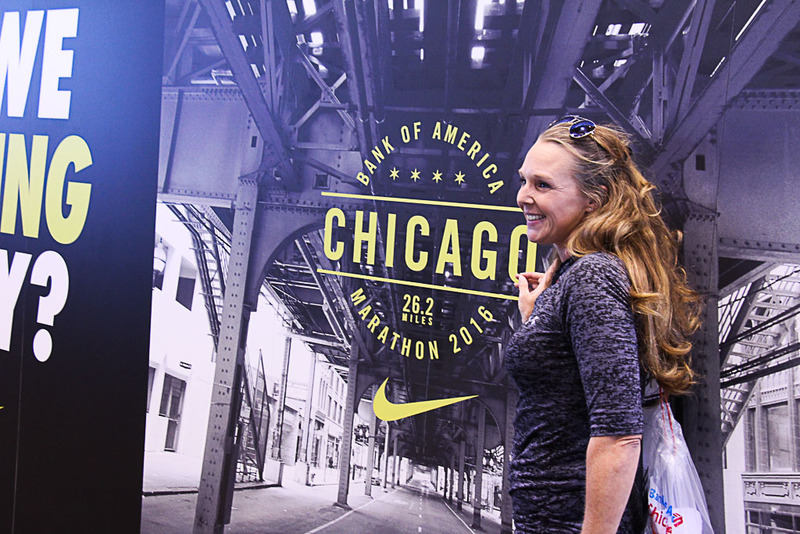 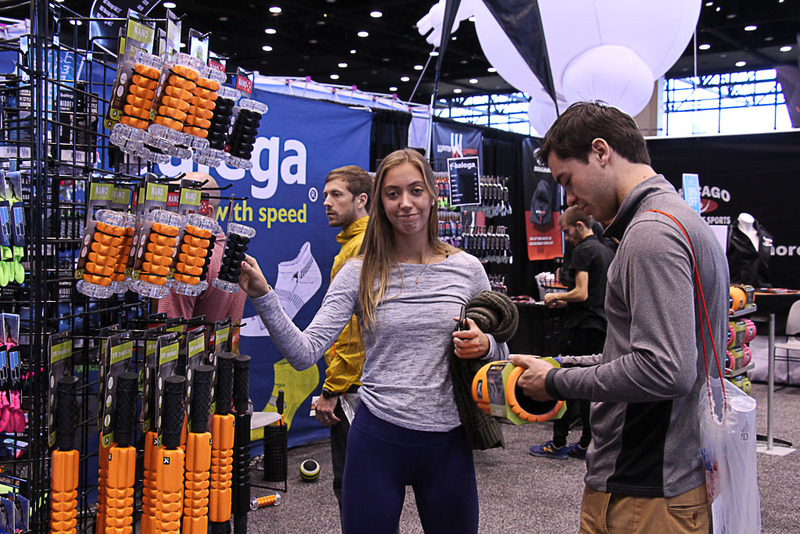 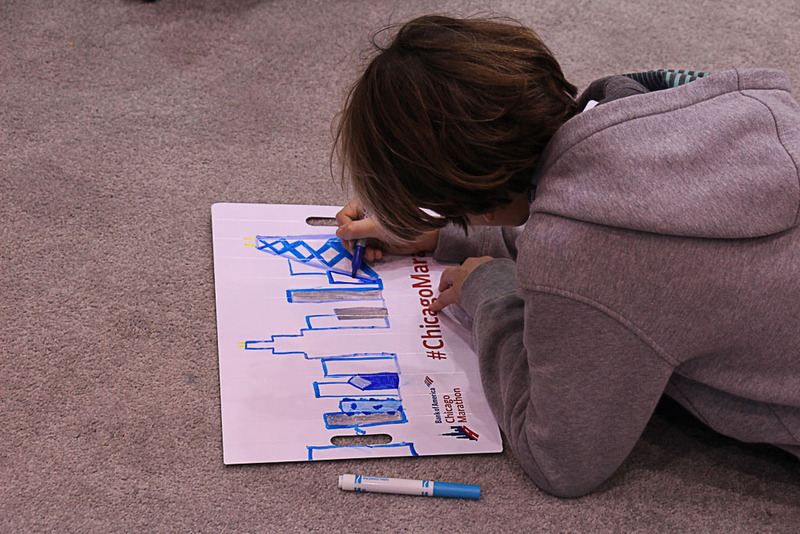 This year, the expo was held on Friday from 9 a.m. to 8 p.m. and Saturday from 9 a.m. to 6 p.m. Thousands of people came through the doors to pick up their race packets and explore the many booths presented. 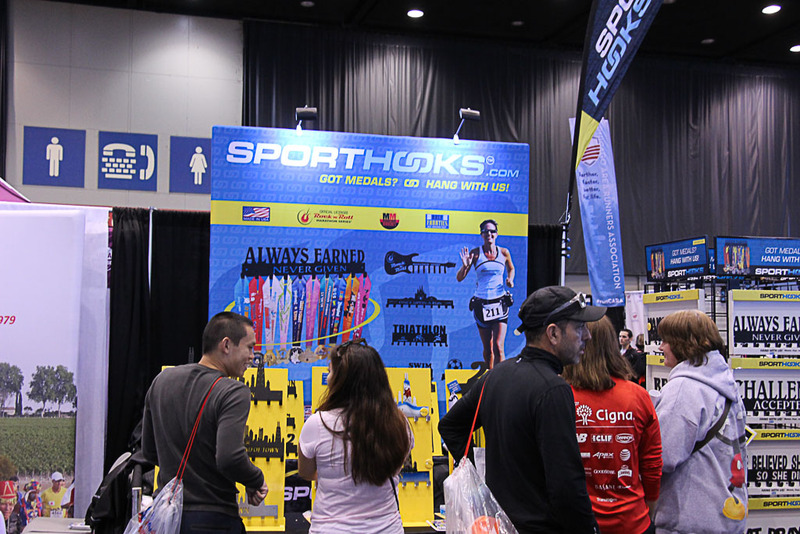 One booth had athletes performing a parkore routine twice an hour, which always attracted a crowd. 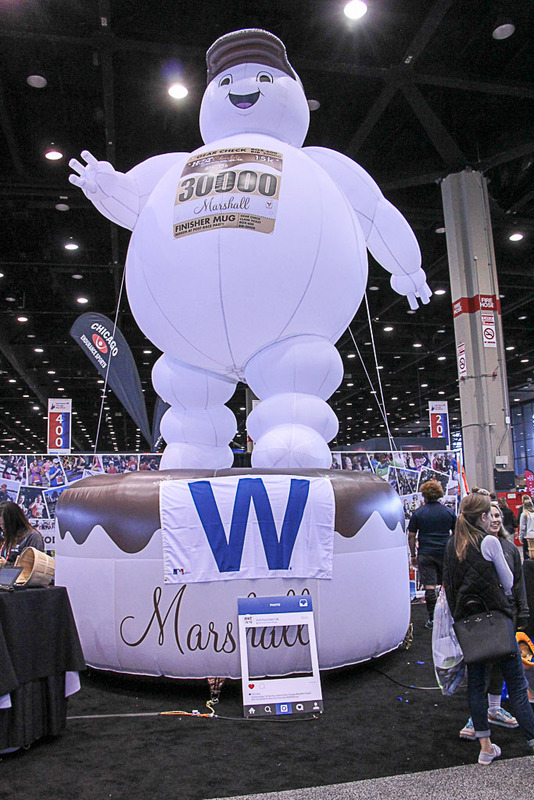 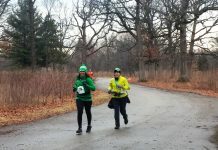 Those from the Hot Chocolate 15K/5K brought a blowup snowman to promote the race, and also showed some love for the Chicago Cubs. 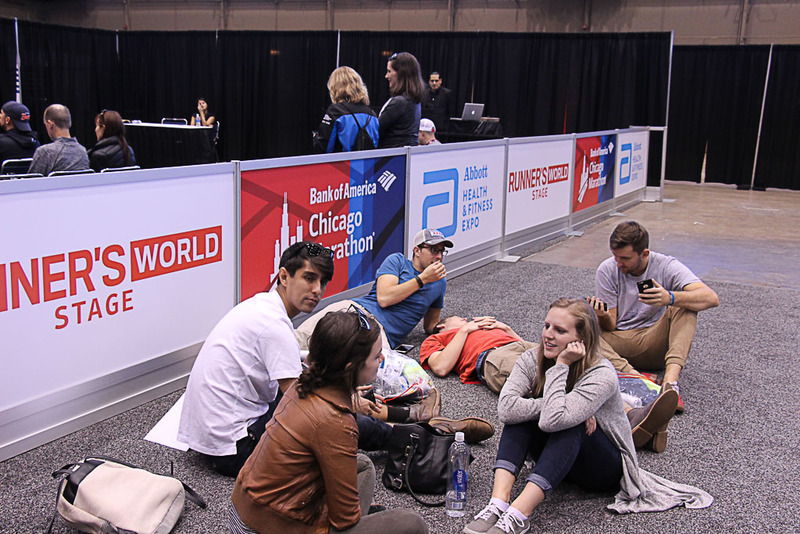 A group takes a break from all the walking around. 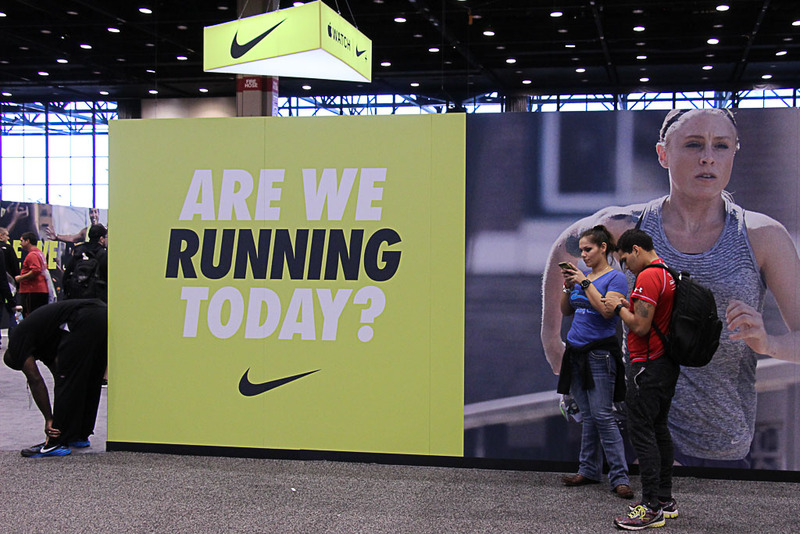 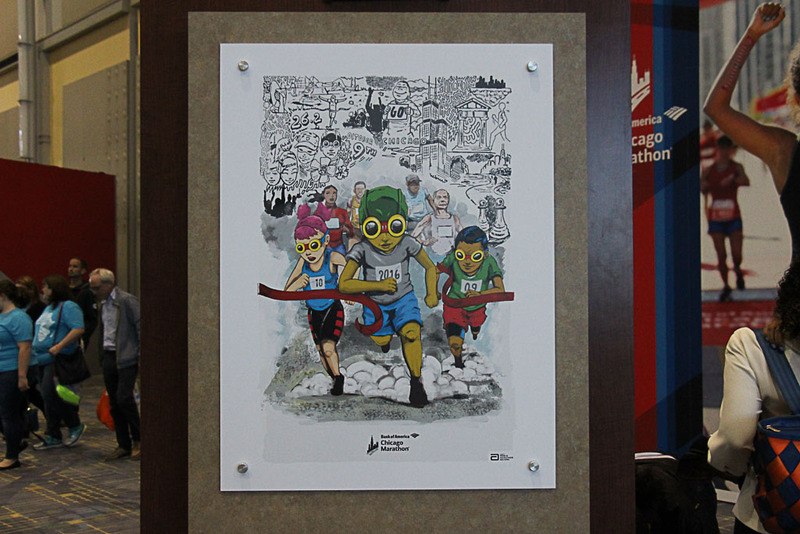 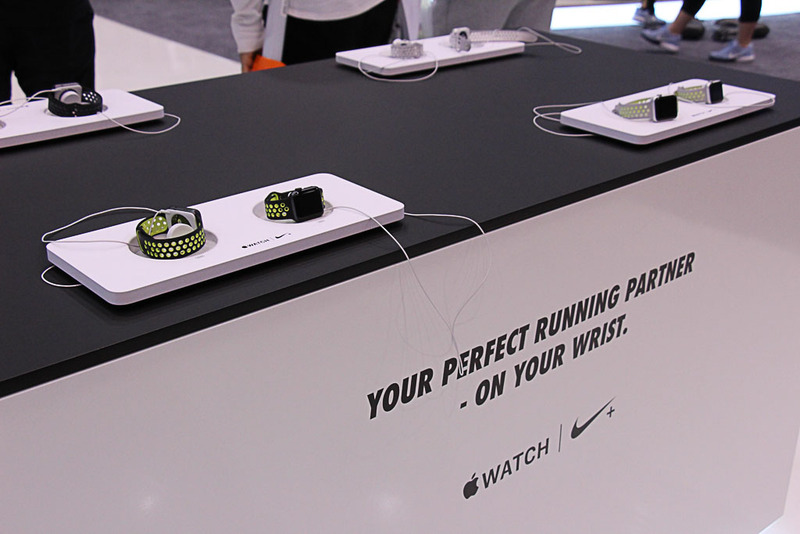 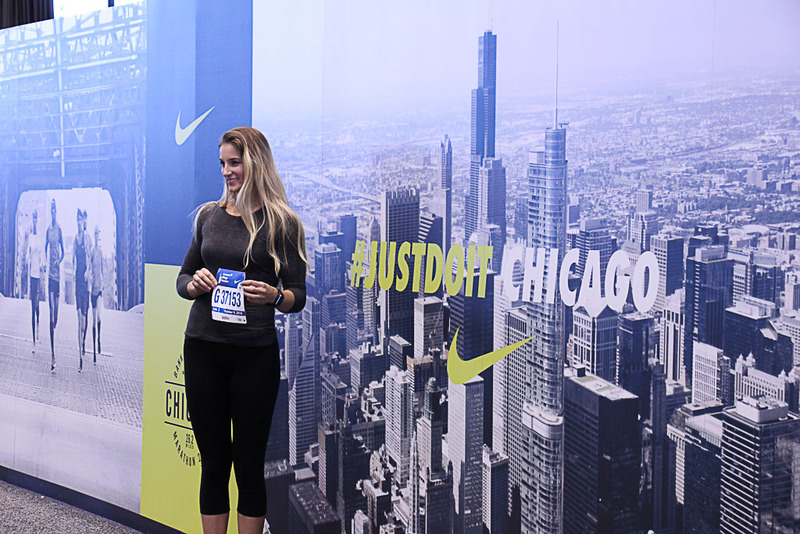 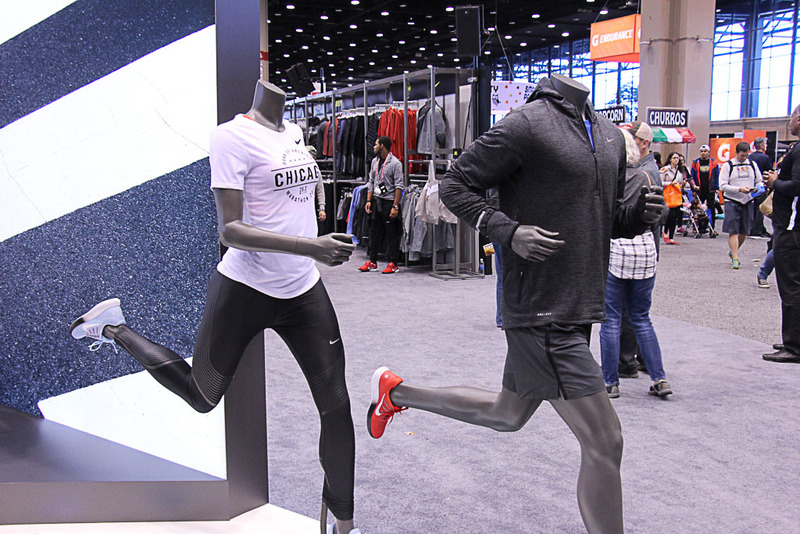 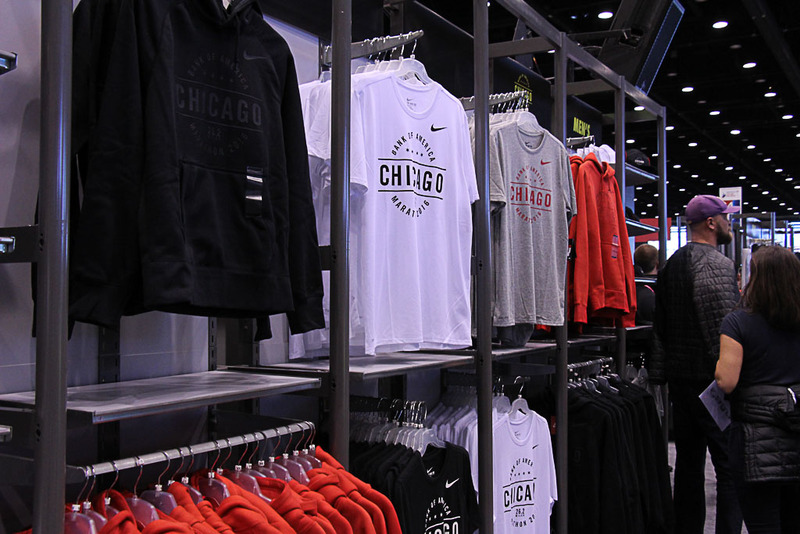 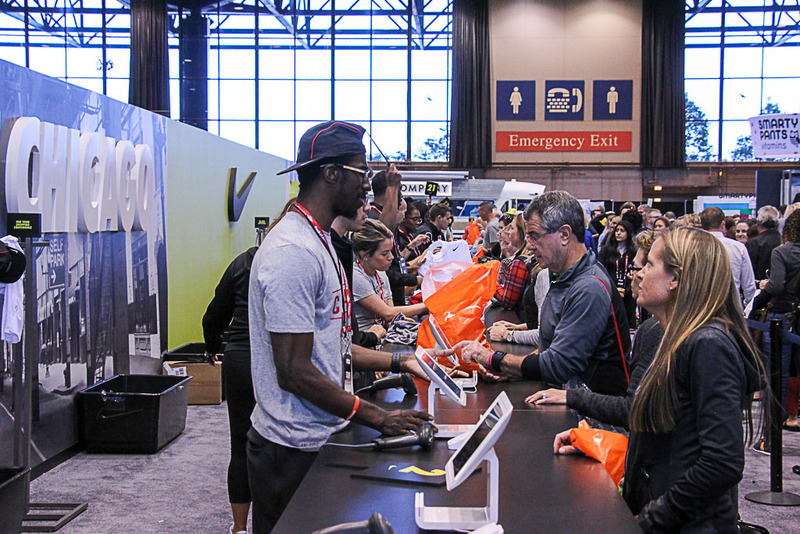 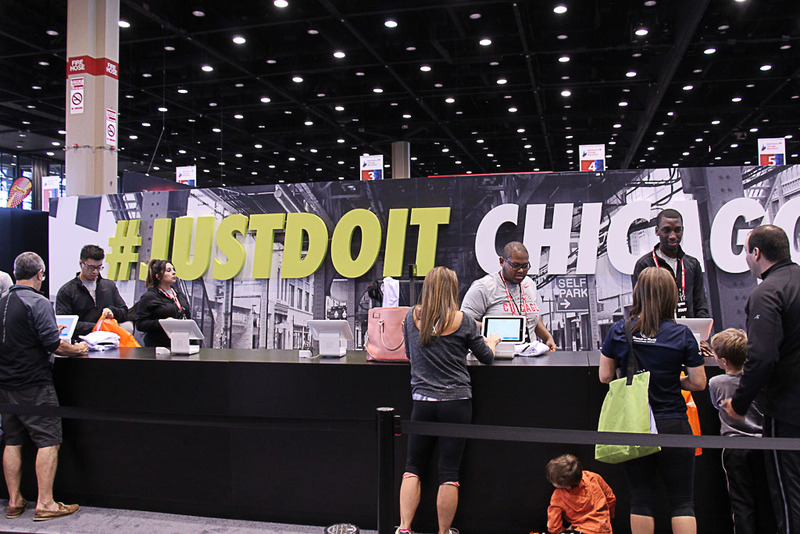 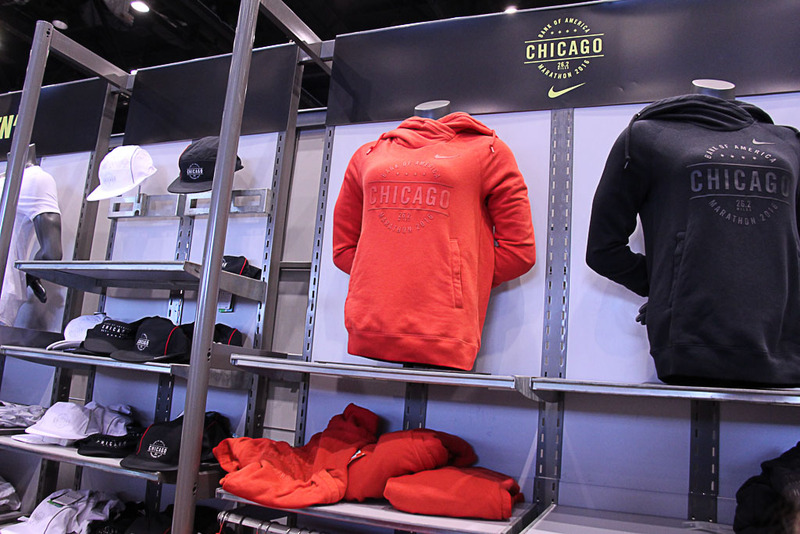 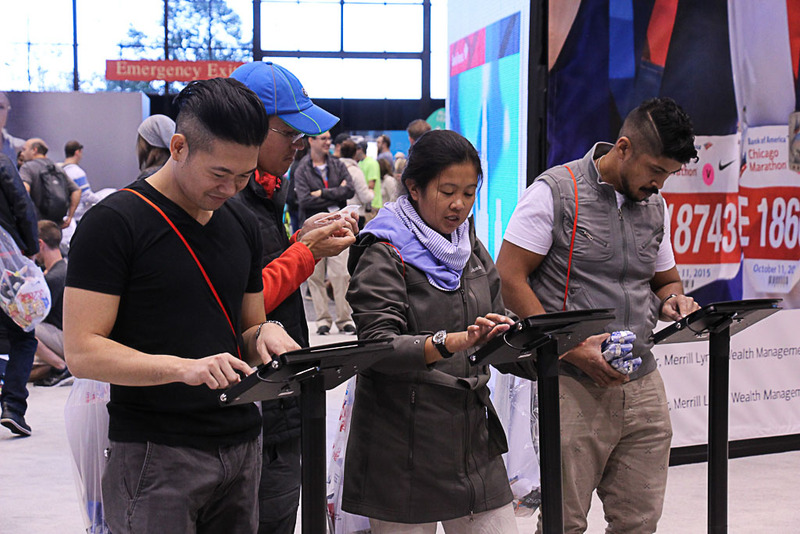 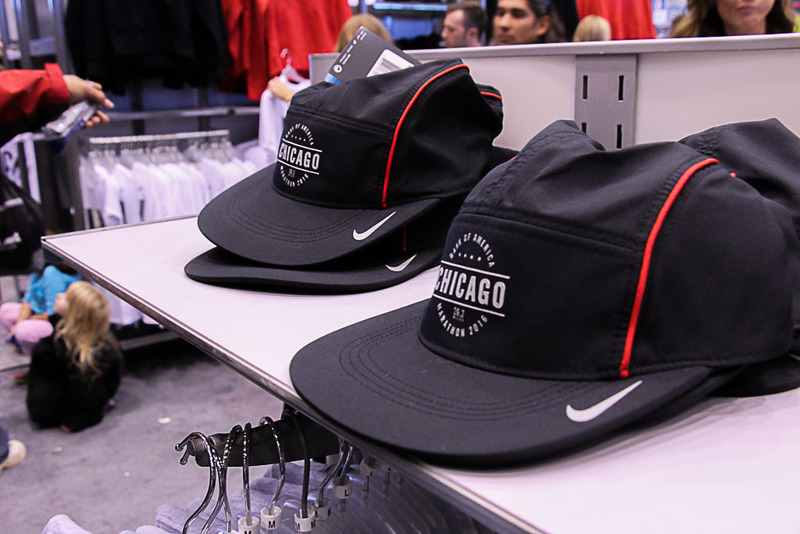 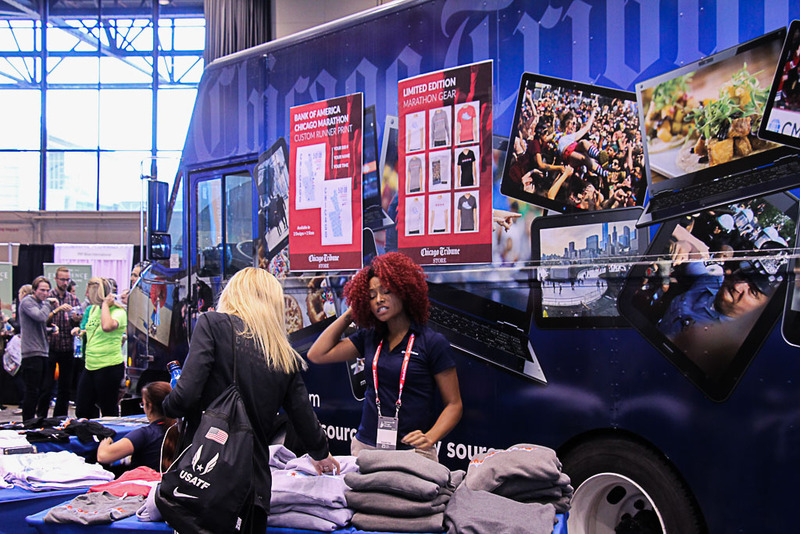 Nike sold the official race merchandise at the expo.